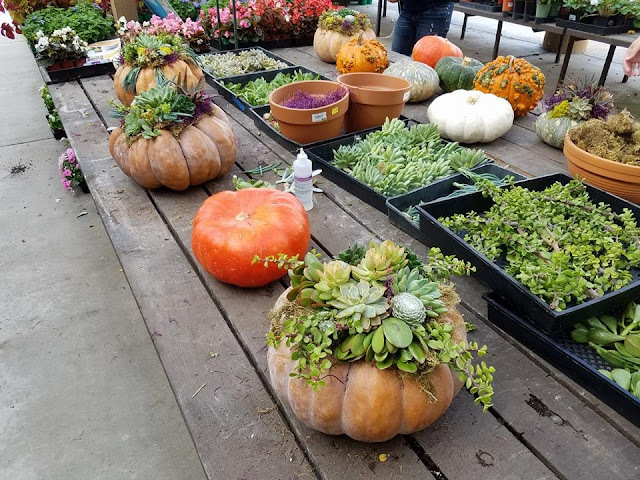 Armstrong Garden brings creativity and fun to DIY projects big and small this Fall! 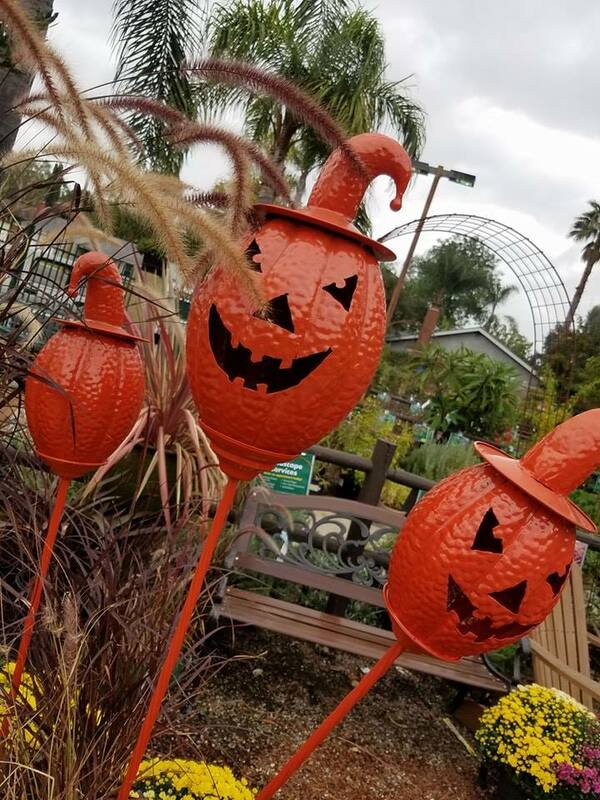 Fall fun with Armstrong Garden is on now... Huge thanks for having me out to experience a class. 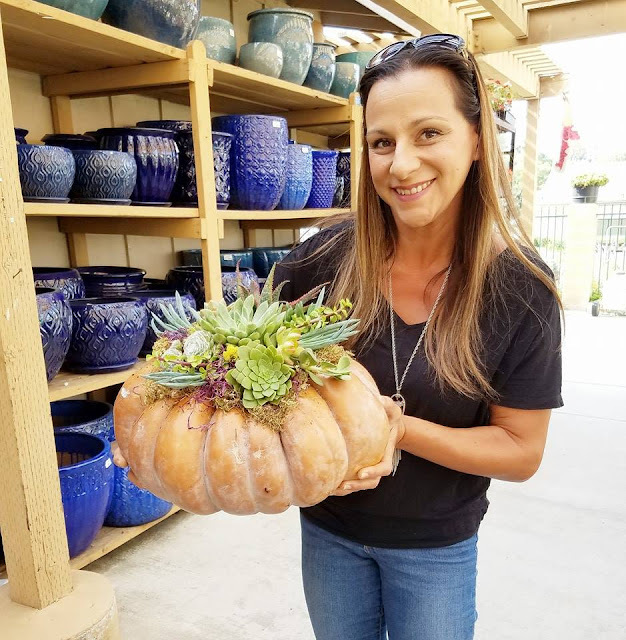 Have you ever felt like you want to create a centerpiece or combine your artistic side with your gardening side? I am all of that but I often have trouble implementing what I want done with the creative need to make my project pop! For fall I've always wanted to create a unique garden themed something! The colors are soft yet bold and everything reminds me of the season starting to change in SoCal. Lately I've been really into succulents and have a few in front on my porch. 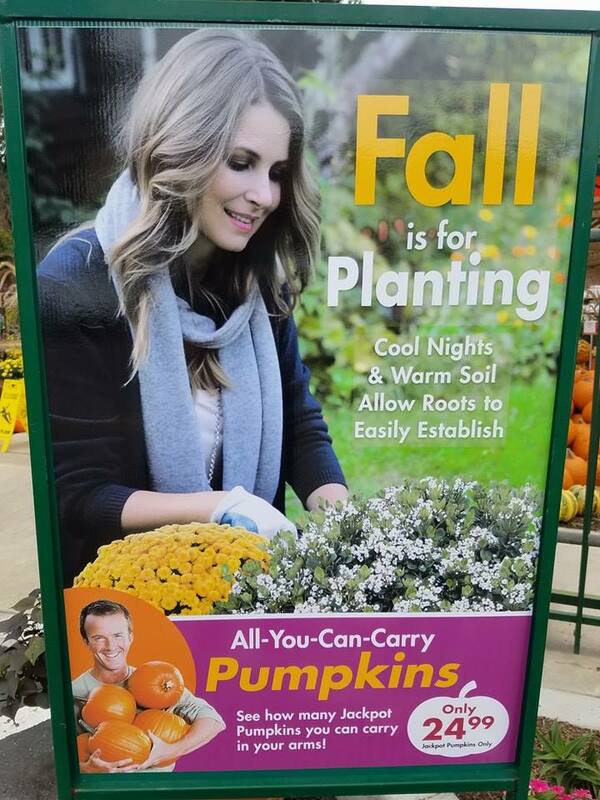 Easy maintenance and super cute. 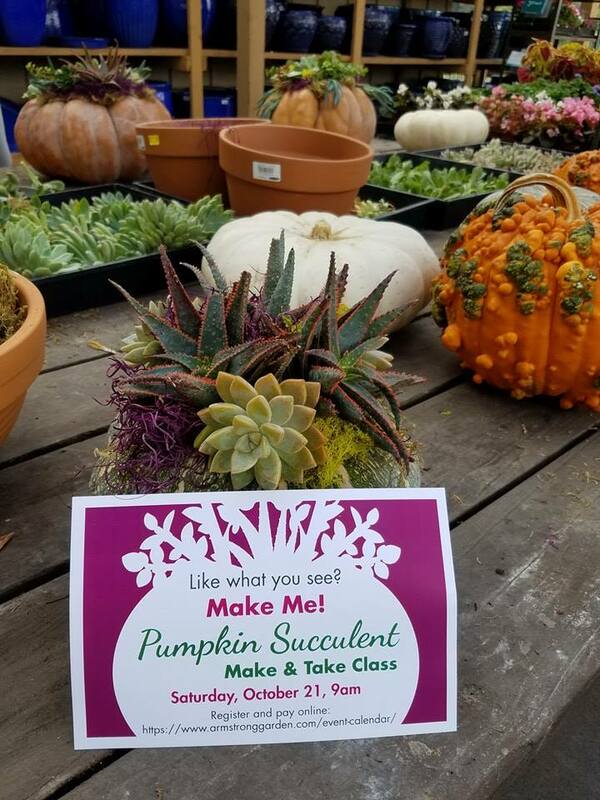 Well... Armstrong Garden brought my creative goals to life when I was invited to attend a Pumpkin Succulent Centerpiece class. It was so much fun, easy to follow along and the best part... my own creation of fall festive fun. 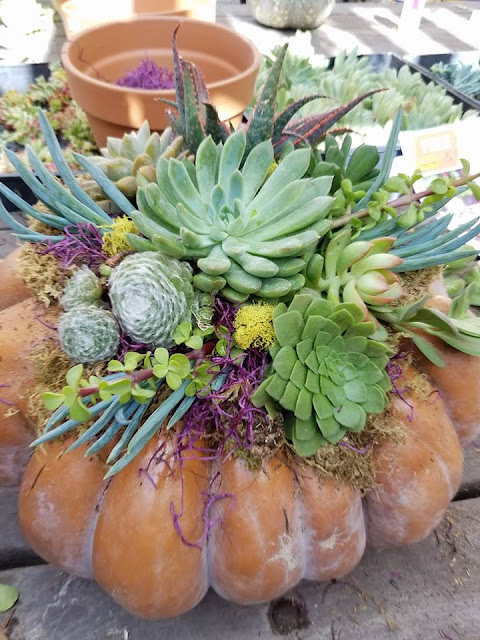 I attended the class last week and my centerpiece is still looking amazing. Here is how the whole class went down and don't forget it's all about making your project the way it represents you! All are different and amazing in their own beautiful ways. 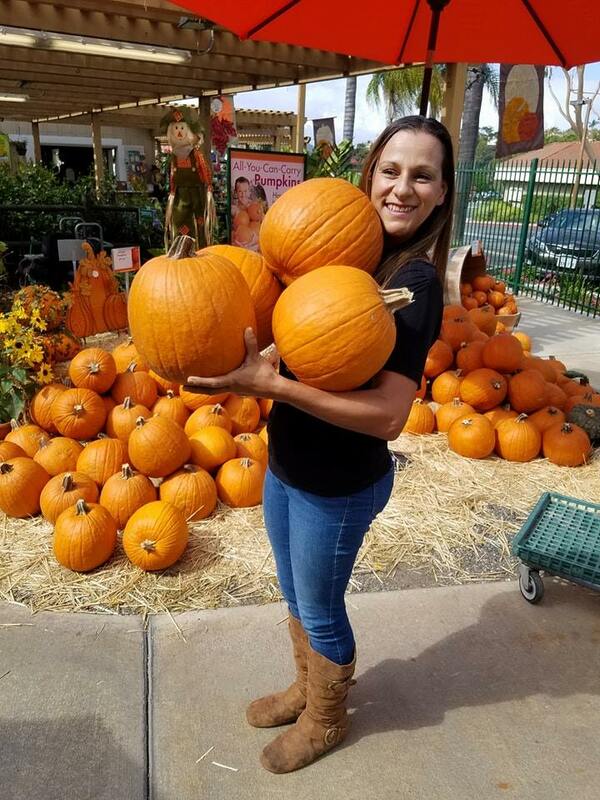 First we picked out our pumpkins. 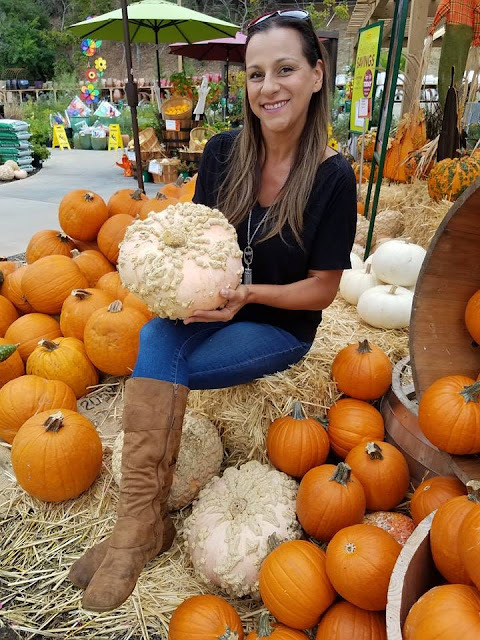 Did you know for this project there is no carving needed?! Next you pick out your moss and succulent accent pieces. The brighter the moss the better for me since I chose succulents that were fall colored green and I wanted a pop of color. The direction and ideas from the class instructor are easy to follow along with. The instructor helps start everyone off by spraying the top with sticky tack so that you can get creating. 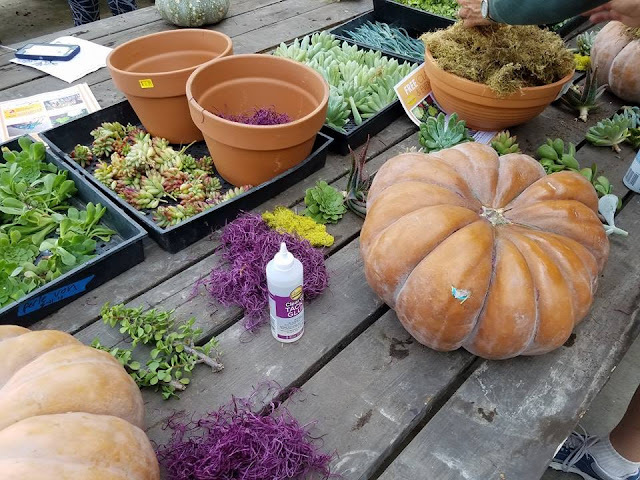 Crafter's Tacky Glue will hold your succulents in place on top of your moss but allow you to continue to spritz them as needed to keep them alive. 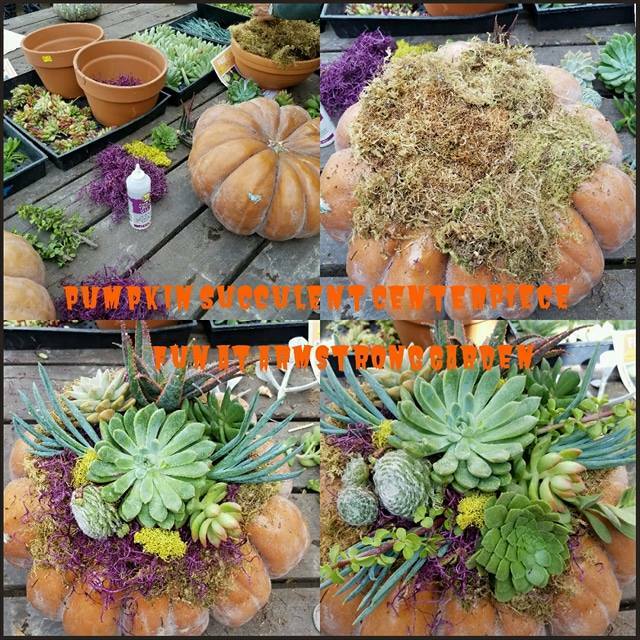 Place your succulents all over the top, even drape some down and as you decide where they go, glue them into place, continue on. You can get as busy or simple as you'd like. Once you feel your piece is complete... be proud, snap a pic and share on social media for fun too! Others will love seeing your masterpiece and you never know who else you may inspire! 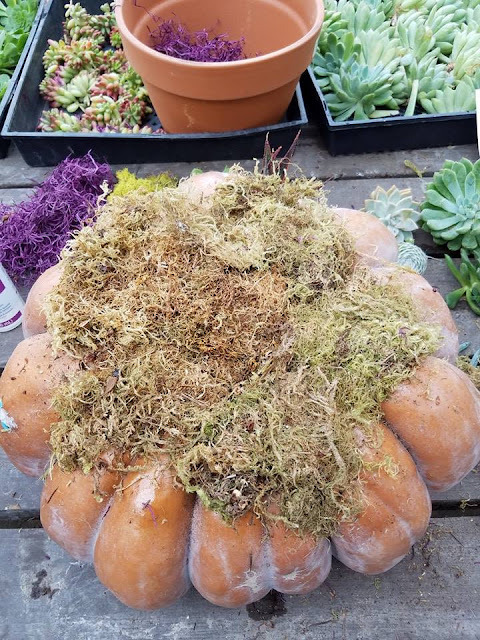 I was so impressed with how my Pumpkin Succulent Centerpiece turned out. I was texting everyone a pic and posted it out of excitement that I actually made it myself!! Here is a quick video of my experience too. Grab a few friends and take the class together - We had so much fun as a small group with laughs and helping one anther with finishing touches. Everyone's turned out so different and I love that! 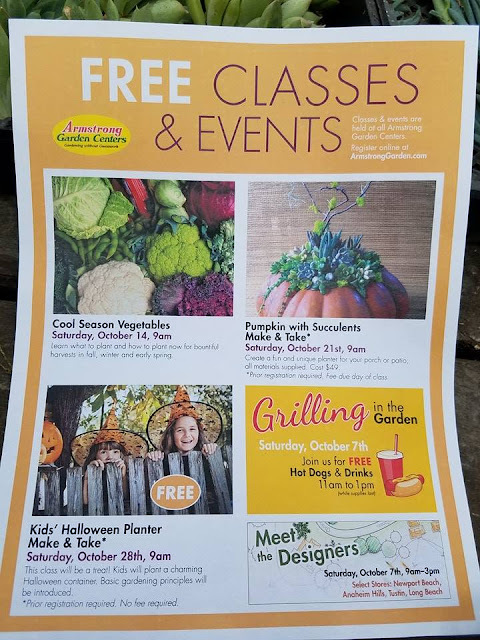 During the month of October there are a few opportunities to take a class at Armstrong Garden. They even have kids classes. But wait that's not all the Fall Festivities they have going on.... Armstrong Garden brings back it's all you can hold pumpkins for on price. Wow! For under $25 you can stack em up and take em home. That means you can use some of your haul for carving and some for maybe painting to try something new! 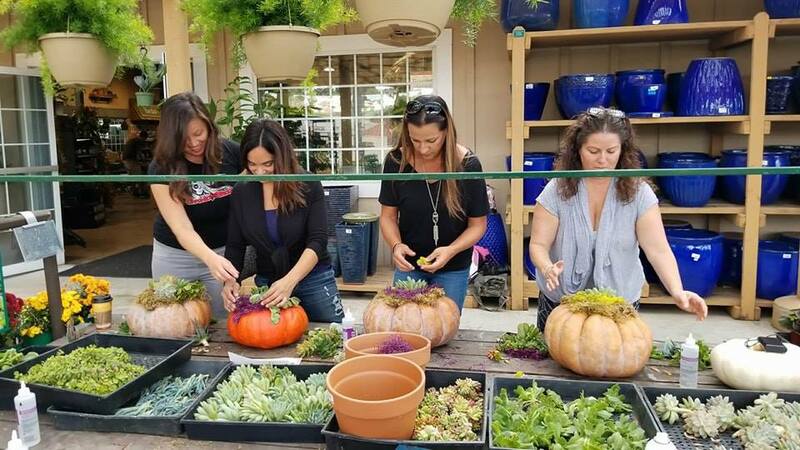 I have always loved gardening and crafting so it's really fun to bring both worlds together for a very calming experience for me. 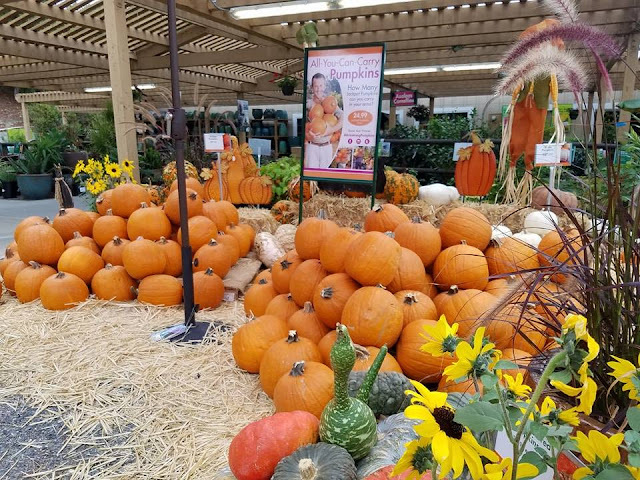 Armstrong Garden has all the fall festive props for your garden or yard too. Check out these adorable Pumpkin Flowers and also the Jack O Lantern stakes. Want to check out a class too? Get full details and register for one here. If you go, please tag me in your social shares, I'd love to see all of your individualized crafts!! 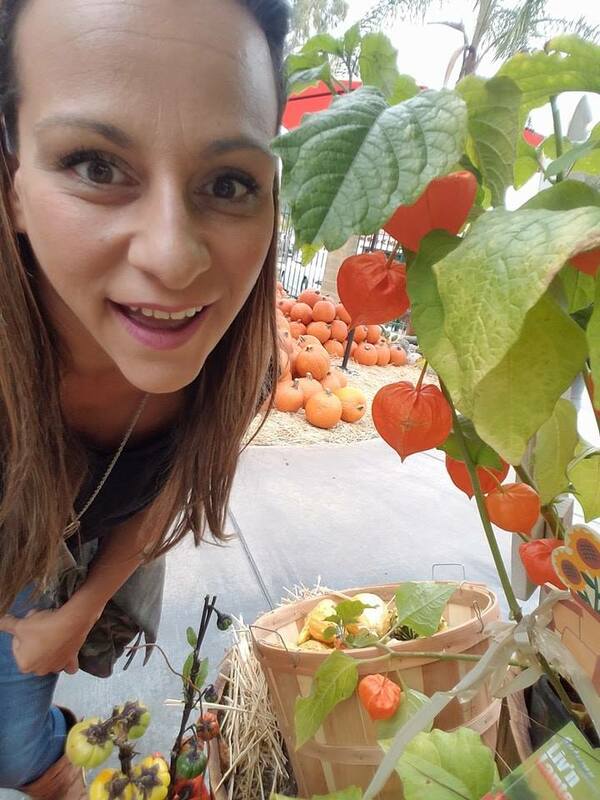 You can see more from Armstrong Garden on social media with hashtag #ArmstrongPumpkins and #ArmstrongGarden .